Your windows provide a number of functions for your home. Among others, they contribute greatly to a home’s comfort and energy efficiency, while serving as lovely design elements that make it stand out. Windows also play a role in keeping everyone in your home safe, especially small children. According to the Safe Kids Worldwide 2015 Report to the Nation: Protecting Children in Your Home, every year sees about eight children under age five get into accidents that involve falling out of windows. These numbers prompted the National Safety Council (NSC) to form the Window Safety Task Force with window and door industry professionals and safety advocates back in 1997. This task force aims to educate caregivers about window safety. 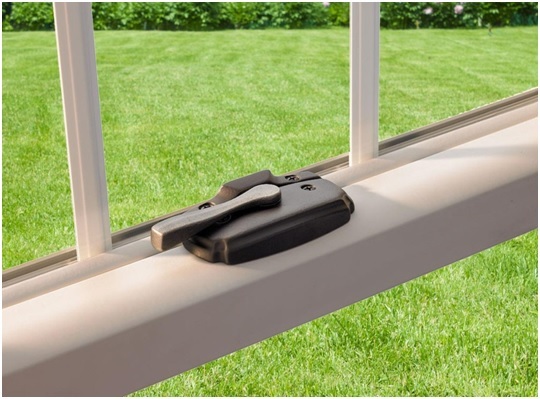 Durable Locking System — All of our windows come with strong, high-quality lock options that keep your windows secure. Our casement windows, for instance, can be locked at multiple points. This prevents small hands from easily unlocking the window and opening them. Aside from this safety feature, it also offers a weather tight seal to prevent energy loss. Smooth-Operating Hardware — Through us, you can expect bow windows in Las Vegas that operate easily. Durable and elegant hardware prevents the sashes from jamming or sticking open, ensuring that your little ones don’t wander off them by accident. The Window Safety Task Force continues to work throughout the year to spread awareness on window safety. It proudly observes Window Safety Week every year during the first full week of April. This coincides with the arrival of spring, when homeowners usually open their windows to let in fresh air. Window Safety Week aims for homeowners to understand the role of windows during emergencies and to teach them about safeguarding against accidental window falls. For quality windows that work to keep you safe, turn to Renewal by Andersen®. With our window installation in Las Vegas and the right safety practices as recommended by the Window Safety Task Force, achieving a safer home is easier.